Military and Intelligence origins of your mobile phone and who would've thought that almost all the technologies in your pocked came from the military industrial (space) complex and hold back many freedom enabling and human transformation tools that are withheld from the human family? The graphic below highlights this and you'll notice many United States Intelligence Agencies all in a big technology/IP venture and pushing corporate companies to gain further deep and next generation spy craft into your hands and out of your pocket. 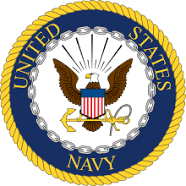 Open Source is exciting in it potential to change the proprietary software and patent protected technology from us humans especially since many of these technologies were stolen under auspices of national security. I think we need to be aware of the evil of patents and should scrap exclusive use to many technologies except for a few exceptional technologies like time-travel and stargate technologies. I'm thinking it's a techno-theocracy of sorts, the big brother conspiracy with this new almost mystical cognizant realization of AI and different types of Artificial Intelligence and quantum computing and networking methods combined with robotics and nanotechnology we need to develop a humane way of dealing with these emerging revolutionary technologies. 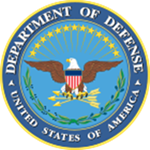 The Defense Advanced Research Projects Agency is an agency of the United States Department of Defense responsible for the development of emerging technologies for use by the military. The European Organization for Nuclear Research, known as CERN, is a European research organization that operates the largest particle physics laboratory in the world. 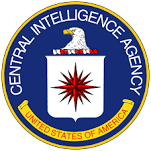 The Central Intelligence Agency is a civilian foreign intelligence service of the United States federal government, tasked with gathering, processing, and analyzing national security information. Army Research Office mission is to serve as the Army's premier extramural basic research agency in the engineering, physical, information and life sciences; developing and exploiting innovative advances to insure the Nation's technological superiority. This is quite a mix of technologies that we are literally putting into children's hands if you ask me! 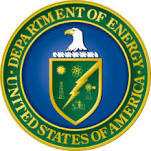 We need some serious declassification of so called top secret technologies especially the free energy and Nikola Tesla varieties.